Report has it that another structure has fell in Lagos. As per reports, a structure situated at No 57, Egerton square in Alakoro zone, Lagos Island, just fell minutes back. It was assembled that numerous individuals are as yet caught in the rubble as salvage mission by inhabitants and sympathizers is in progress. This is coming after a school building fallen at Itafaji zone of Lagos Island on Wednesday, March thirteenth. 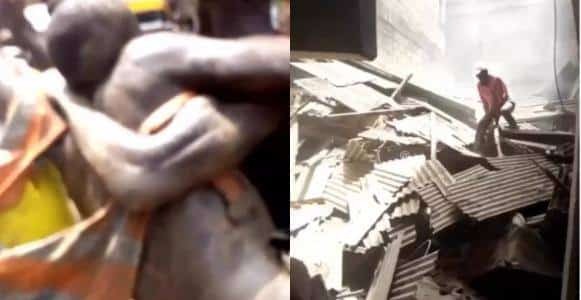 More than 20 occupants including students of a Nursery/Primary School working inside the structure lost their lives while several others were raced to various medical clinics on Lagos Island on Wednesday.